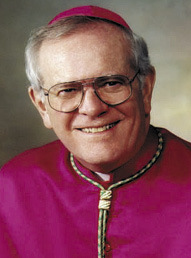 Bishop James M. Moynihan was the key figure in establishing the Heritage Campaign for the Syracuse Roman Catholic Diocese. His intention was to preserve the “heritage” and quality of our schools, parishes and ministries, and he worked tirelessly to bring this vision to fruition. While the original goal of the campaign was $33 million, the Bishop’s commitment in reaching out to diocesan supporters resulted in over $50 million in pledges to support the Heritage Campaign. Where did the idea come from for the Heritage Campaign? It had been several decades since the last campaign for the diocese. 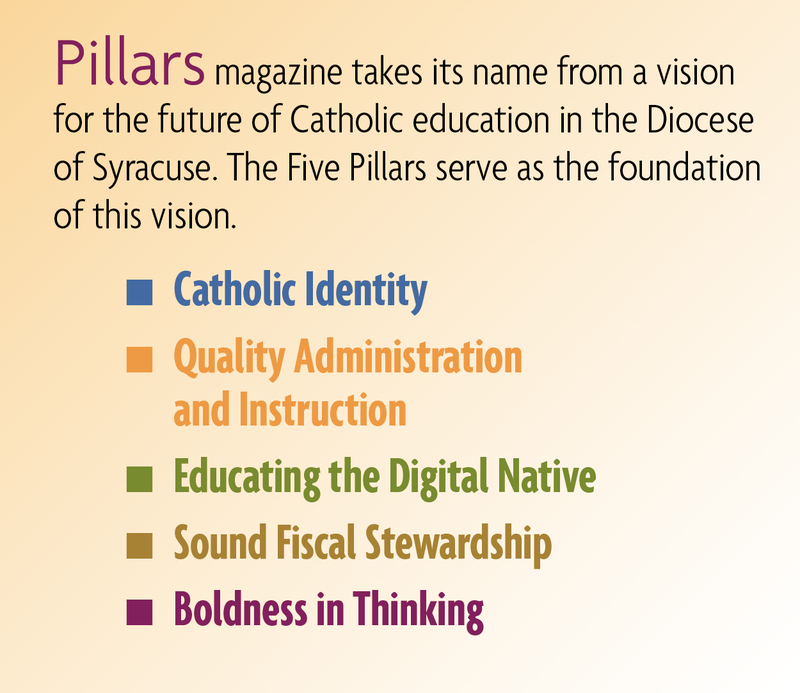 Since then, we developed a number of important needs in the Diocese of Syracuse in the areas of schools, religious education and youth ministry, Catholic Charities, priest retirement facilities and the support of parishes. We put together a pastors’ advisory committee and a lay advisory board that reviewed our plan and made recommendations on how to move forward. The needs in the diocese had grown significantly and with the approaching millennium, we needed to gear up for the future. We prayed that God would direct us and motivate our people to support the campaign, as it would benefit everyone in the diocese, young and old. We hired Community Counseling Services (CCS) and had our case study developed, deciding on “Preserving the Past — Securing the Future” as our campaign theme. CCS conducted a feasibility study to see if our established need of $40 million was realistic. The study came back with $33 million as an achievable goal in the following areas: $14.5 million for Catholic schools ($3.5 million for facilities and $11 million for an endowment); $2.75 million for an endowment for religious education/youth ministry; $3 million for Catholic Charities; $2.5 million for retired priest facilities ($2 million for endowment and $500,000 for facility improvements; $3.65 million for the 2000 Hope Appeal; and $6.6 million for parish sharing. Did it exceed your expectations and why? Originally, we thought $40 million would be an attainable goal, but after the feasibility study we scaled it back to $33 million. We not only achieved the $33 million, but the $40 million we originally thought, with up to $51 million in pledges! It was $51,145,000 in donor pledges to be exact! Upon completion of the pledge period, $47,094,000 had been pledged by 36,094 donors! It was an unparalleled success. Never before in the history of the diocese had anything like it been achieved. It was a tremendous experience for me. Personally, I had 90 donor dinners at my house and 95 percent pledged to the campaign. How do you hope the establish­ment of these funds will help to further Catholic education into the future? I would think that the success of the campaign and the fact that donors belong to these parishes will galvanize the parishes to be supportive of a pastor’s request for whatever the pastor asks of them. Pastors love our people and the people love our pastors. I so enjoyed the experience of the Heritage Campaign. I wish I were still doing it!